Set includes 8 appliques made from quality cotton fabric, with an iron on backing. 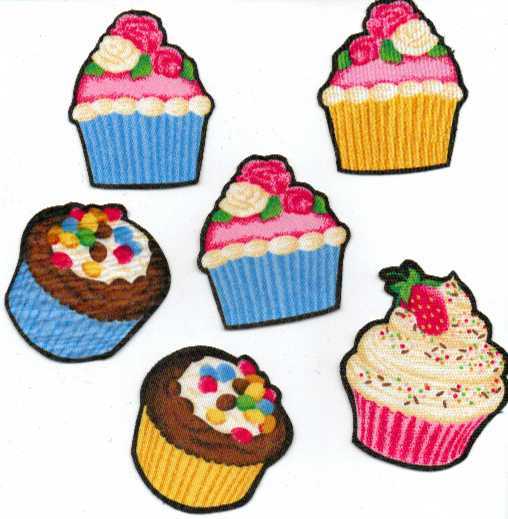 Assorted colorful cupcakes, decorated in pastel pink, yellow, green and blue�.decorate for your party with creative pillows, placemats, aprons�.or make a "sweet" sweatshirt, t-shirt, misc tote bags�.so many possibilities. Approx. 2" to 2 1/2"